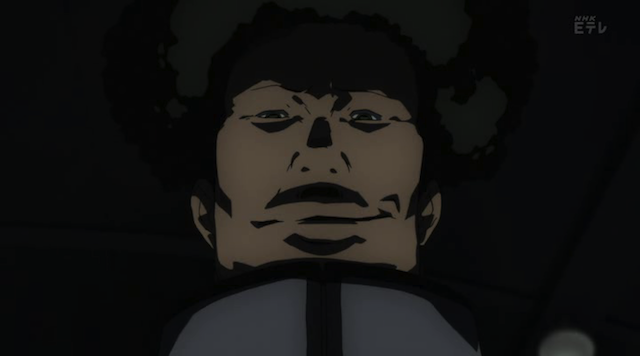 Phi Brain has taken a dark turn. Episode 13 starts with Kaito Daimon hospitalized. 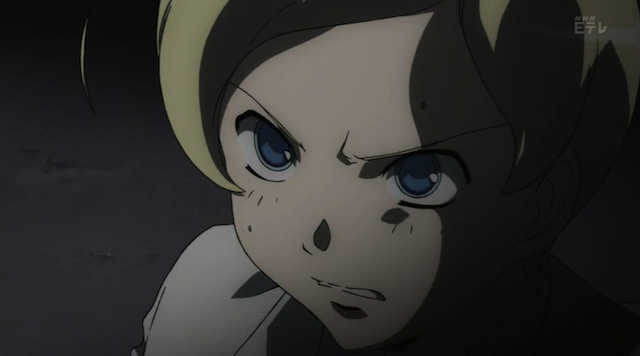 As Nonoha, Anna, and Gammon Sakanou anxiously watch over Kaito in the hospital, Cubic Galois is out for revenge. 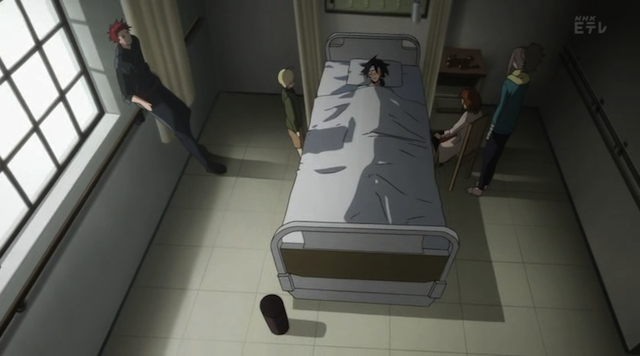 Kaito's friends watch anxiously as Kaito lies in a hospital bed. Meanwhile Rook takes a bath. The issue of whether or not Rook is truly a bad person came up in this episode. The question Nonoha naively asks is, how can someone that Kaito has befriended be a bad person? 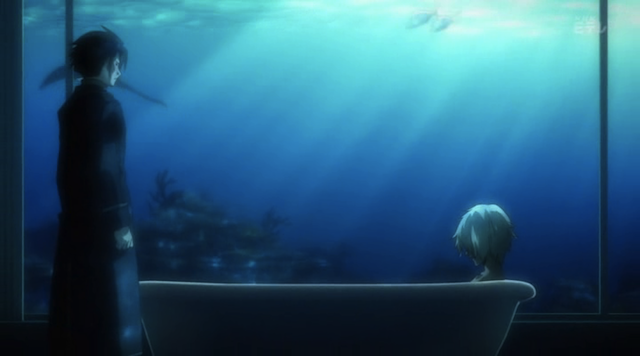 I say Rook must be a bad person, because only some evil mastermind would have a bathtub in a room with a giant aquarium. Sylvia Stingray (from Bubblegum Crisis) had a giant aquarium that was also a swimming pool, and she was a good genius, but that is hardly the same thing. Cubic Galois, AKA Edison, fights the POG on his own. Yuno Cubic doesn’t want to share Kaito with Rook. He knows that Kaito is destined to be his friend, so he goes POG hunting. This leads him to an abandoned military base, where he is given a fool’s puzzle, that is, the prize is he gets to keep his own life. This week's puzzle was pretty interesting. It consists of five interlocked crosses. 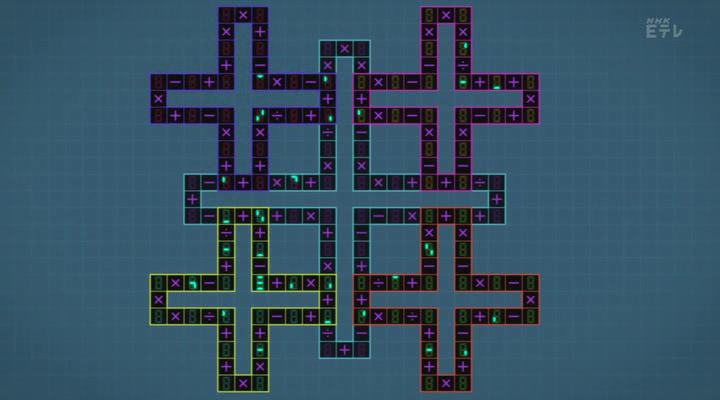 Each cross is, itself, an interlocked collection of 12 puzzles. Each side adds up to 10, and the same number cannot be used more than once on a "side". Needless to say, there is a timer (actually one on each cross), and at the end of each sub-puzzle some tanks advance on the building that Cubic is in. 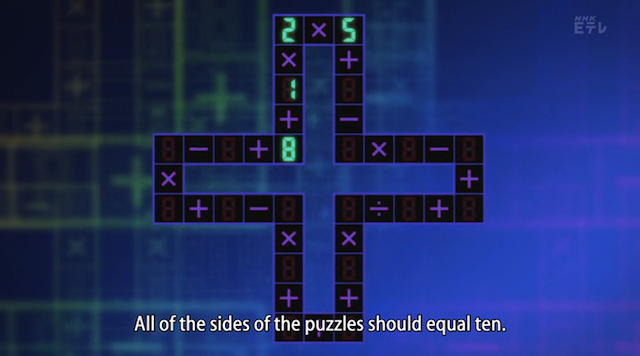 Only by solving the interlocked puzzle can he avoid being blown up. This scene (particularly the first time the tank activates) has another great musical background: a slow and ominous brass piece. 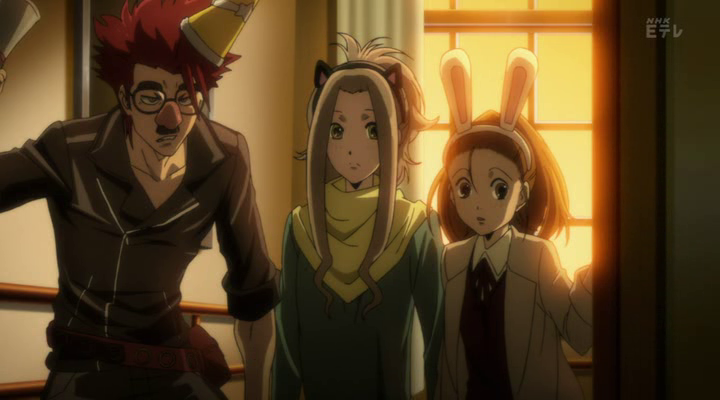 I still haven’t seen an announcement about the Phi Brain soundtrack getting released. Now that the second course has begun to air, I hope we see an announcement soon. 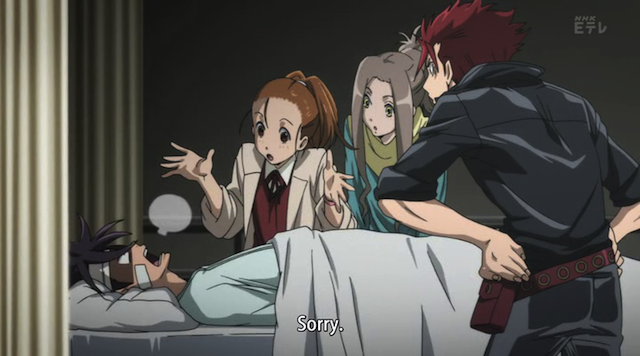 Kaito does come back to consciousness, and his friends try to cheer him up, though it doesn’t work. Unfortunately Cubic is damaged by his puzzling experience.